The Pound Sterling Euro (GBP/EUR) exchange rate fell, and the pairing is currently trading at an inter-bank exchange rate of €1.1565. Better-than-forecast data was released from the Eurozone this morning, which likely provided further support for the single currency. The Eurozone’s seasonally adjusted industrial production fell by -0.2% in February despite markets expecting a steeper fall. In the 12-months leading to February industrial production slipped by -0.3% compared to the previous month’s fall of -0.7%. However, January’s annual production was revised up from 1.4% to 1.9%, which likely provided the single currency with an upswing of support. Despite annual industrial production falling for the fourth consecutive month, the single currency rose against Sterling. On Friday the Euro (EUR) rose to two-and-a-half week high against the US Dollar following reports of a Japanese Bank’s plan to purchase a multi-billion Dollar aviation finance business from a German bank. Speculators were buying into the single currency in response to Mitsubishi UFJ Financial Group’s planned purchase which likely buoyed the Euro against Sterling. Sterling was left unimpressed on Thursday following the UK’s formal acceptance of the new Halloween Brexit delay. On Wednesday the UK was offered a six-month extension of Article 50 to 31 October from the European Union. This prevented the UK from crashing out of the EU this evening, however it does not completely reduce the risk of a no-deal Brexit instead just prolonging the uncertainty. The Euro rose on Friday despite disappointing data released from the bloc’s largest economy. 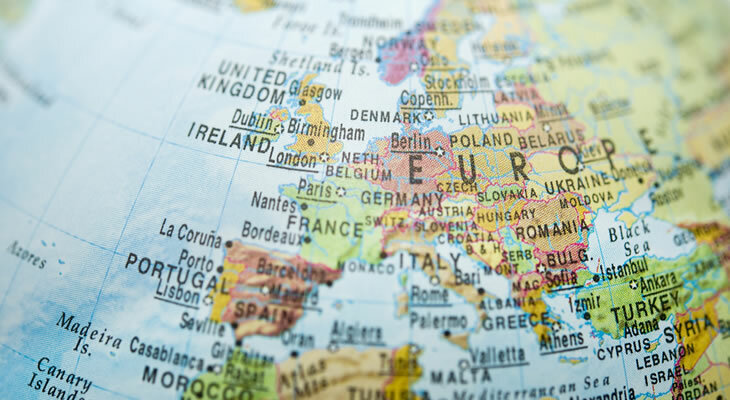 On Thursday March’s data showed that German inflation slowed to its lowest level since April 2018. Germany’s Harmonised Index of Consumer Prices rose by 1.4% in the twelve months leading to March, compared to a rise of 1.7% in February. This left German inflation far below the European Central Bank’s (ECB) target inflation rate of 2% for the fourth consecutive month. However, this could do little to stop the single currency rising against Sterling on Friday. Pound Euro Outlook: Will the GBP/EUR Exchange Rate Slip on a Dovish BoE? Looking ahead to Monday, the Pound (GBP) could fall against the Euro (EUR) following a speech from the Bank of England’s (BoE) Jonathan Haskel. If Haskel mentions the recent better-than-forecast manufacturing data and GDP, but his tone remains dovish about the current Brexit uncertainty, the Pound could slide. As the new Brexit deadline is 31 October it is likely Pound will rise if there are any major near-term Brexit developments such as a breakthrough during cross-party talks. If Labour and the Conservatives are able to reach a compromise, the Pound Euro (GBP/EUR) exchange rate could rise.